Now you can punch holes and set eyelets with a single tool. Punch holes and set eyelets quickly and easily with one tool, no separate hammer needed. The built-in spring action hammer creates enough force to punch through heavy card, fabric and split eyelets. 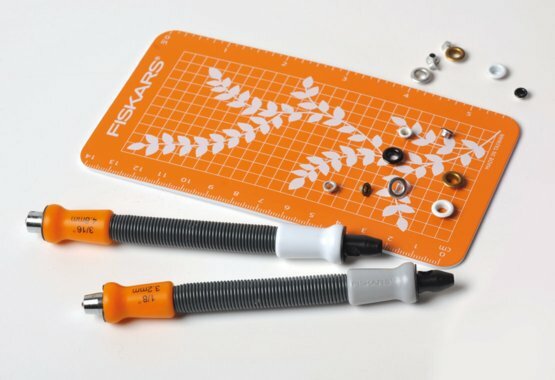 In fact, it's so powerful you'll need a craft mat to protect your work surface.